It's made of two or more than two sheets of glass between which one or multi-layers of PVB with strong cohesion is sandwiched under high temperature and pressure. 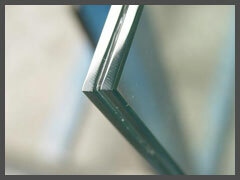 Safety: When laminated glass is attacked by outside force, it hard to be penetrated because PVB film has strong bonding strength and can absorb and weaken a mass of striking energy. Even if it's broken, the splinters will stick to the interlayer and not scatter. 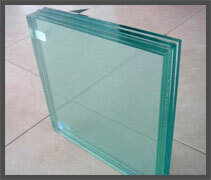 Security: It's impossible to cut the laminated glass with glass cutter; therefore laminated glass has strong resistance function to evil intentions.